Home Gear What is the CCD? To break it down simply, CCD stands for Charged Coupled Device. The CCD is the digital equivalent of film. 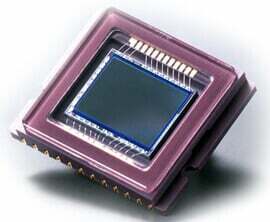 The CCD is a type of sensor that is used to capture an image by taking the light and translating it into digital data. There are thousands of tiny little pixels that make up the surface of the sensor so that every little facet of light will be caught, converted, and refined into electrical energy, and organized into a digital image. It is through the pixels that the light is translated into electrons, which in turn, become the digital data you need in order to print, edit, or store a picture. Once the light has become a digital copy of the image it can easily be stored in the camera’s memory. With a good CCD you will be able to produce high quality images, even when working in low or dim lighting. It is important to know the quality of your digital camera’s CCD in order to know where your camera is effective as well as ineffective. A quality CCD allows you a higher sensitivity to light or ISO. If you are working with a client, you don’t want to waste their time or yours taking shots that won’t turn out because of low light and/or a low quality CCD. Note that the CCD is monochromatic, meaning it works in grayscale. Your camera will also have a color filter where there are pixels for Red Green and Blue light. 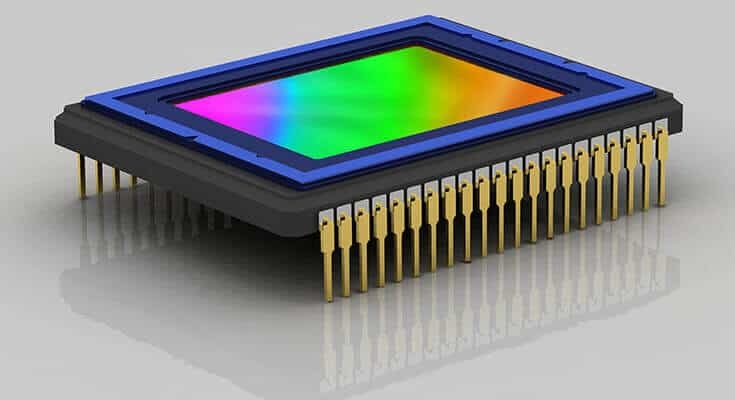 CCDs are not limited to digital cameras, but are also used in telescopes, camcorders, and scanners–basically anything that takes light and translate it into digital data. Great article, thanks! So what cameras have the best CCDs in them? What should I watch out for? The best brands typically have the best CCD’s When you find cheap digital camera’s one of the places they cut corners is in the CCD’s they buy. An easy test is to go to the store and test out a few cameras. The camera that always seems to have color off is the one that doesn’t have a very good sensor. Kodak was notorious for this a few years ago- they would make HUGE Mega Pixel camera’s but terrible sensors. They’d cut corners because most consumers would just take the Megapixel rating to say how good the camera was. You’d wind up with a large image that was still a bad image. A large bad image isn’t any better than a small bad image. So read up on them, see who’s putting time into developing their sensors. I can tell you two companies that are definitely spending some cash on their sensors each year are Canon and Nikon. But i have a low budget for the camera and I am a beginner. Could you please tell me a model of CANON CAMERA that is very good and around $500. Thanks for the useful courses! I wanted to know if there´s a way to measure in numbers the quality of a CCD? The Canon T4i is an excellent camera for a beginner like myself. SONY is also utilizing their technology in creating excellent image sensors. I hear they are so good that Canon is buying them and putting them in their cameras. SONY is very innovative and uses their technology starting from the camera used for recording the project to the television used to display it thanks to their engineering and their relationship with their own film company SONY PICTURES. I have purchased a new Nikon D3200 DSLR Camera. Kindly let me know its essential preventive maintenance please, so that it can last long. Meanwhile I shall go through your online course.